Equinox is the best value in a high quality yet affordable climbing rope. With its excellent knotability, ease of clipping, and its slim 9.9mm and 10.2mm, the versatile Equinox is ideal for sport climbing or multi-pitch routes as wells as for top rope applications. MAXIM® Equinox is manufactured to the same standards as our Apex line. In order to reduce the cost, we have used more white fibers in the sheath. This creates a price point rope that is built to be a workhorse. 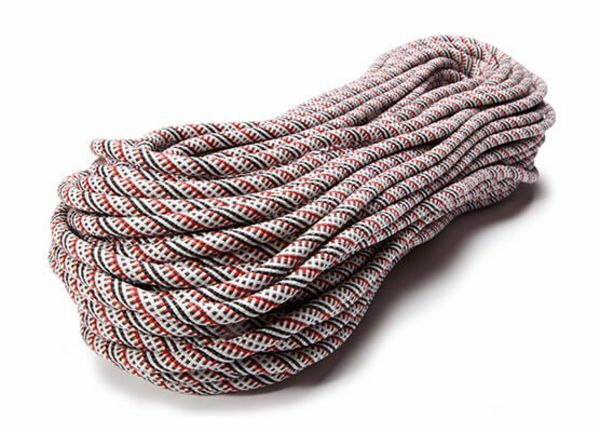 MAXIM Equinox is an inexpensive climbing rope with high UIAA fall rating, that is designed for top rope, big wall, trad climbing or for working projects and developing routes. Furthermore, it is an excellent rope for challenge courses and fall protection for safety personnel. All Equinox ropes feature our Endura DRY treatment on the core. Equinox ropes are certified to EN 892 and UIAA 101 and are available in 9.9mm and 10.2mm diameters. The MAXIM Equinox consistently takes a beating but still delivers reliable clips. In addition, it stands for excellent durability and maximum fall protection. Thanks to its excellent knotability and ease of handling it is well suited for sport and multi-pitch climbing. Equinox ropes are a cost-efficient climbing ropes designed to be pushed every day. They provide the long life and safety assurance you have come to expect from MAXIM dynamic ropes. Designed with more white fiber in the sheath, thereby reducing the cost.